Val Gardena, Alto Adige, Italy.December 4, 2004. 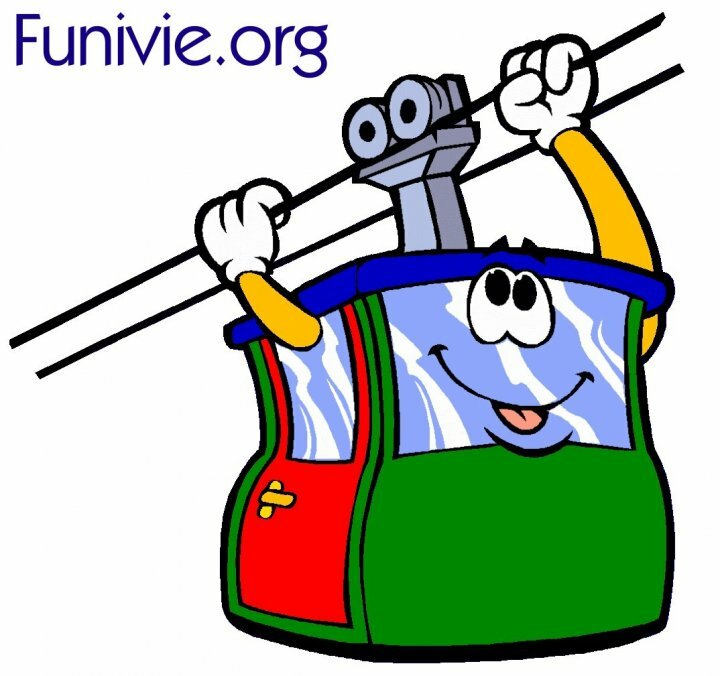 The new underground funicular railway “Val Gardena Ronda Express” was unvieled today… with new snow on the Dolomites, 20-70 cm. 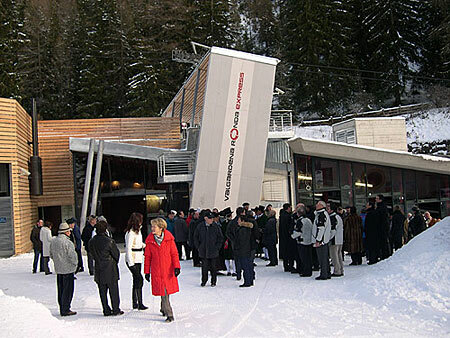 The public opening will take place on December 15, 2004. 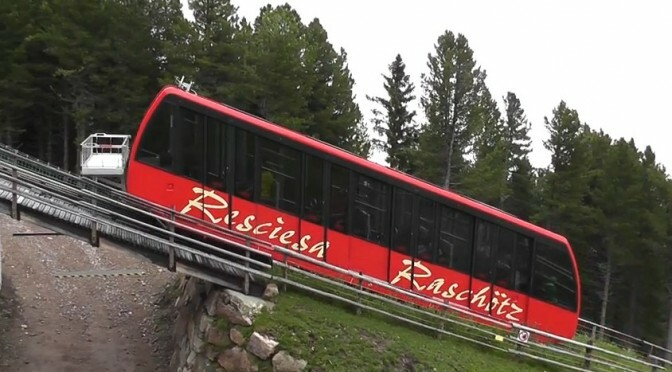 Val Gardena, Alto Adige, Italy.A new funicular was built in Val Gardena, in the Dolomites, north of Italy, in the Santa Cristina ski resort.It is an underground railway 1261.74 m long, with a 138 m level difference and 11,66 % maximum gradient. It has two cars, each with a capacity for 140 passengers. Manufacturer: Leitner Spa and Poma Italy. The two cars were delivered on October 5th, 2004. The inauguration will take place on December the 4th, 2004. 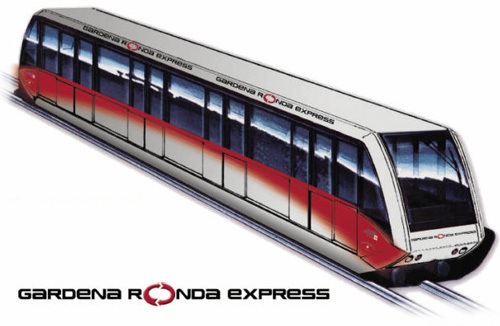 The site of the Gardena Ronda Express project.